After a preview during the NBA All-Star Game, the Crazylight Boost 2015 is available to consumers after a long awaited period of hype and anticipation. 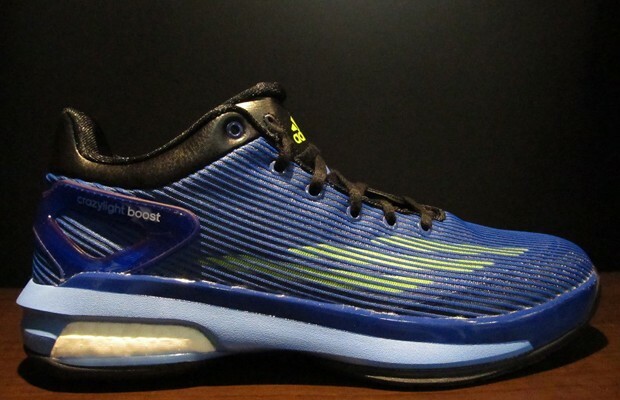 The current shoe of choice for many adidas-sponsored athletes, the Crazyboost comes with the advantage of Boost cushioning and a choice of vibrant designs, including options like gradient-faded uppers, eye-catching neon accents, and a Jeremy Lin PE with a Lakers-yellow upper and speckled midsole. Check for the sneaker at select adidas retailers.